It was summer 2013, and I was driving my kids to one of my wife’s performances when my mobile phone rang. It was a Florida area code. “Yes, I was calling to see if you could help me with some search engine optimization.” The woman’s voice sounded awfully familiar. We hadn’t met, but I could almost place her. Lucy! It was Lucy from Big Bang Theory! Who would be mean to Lucy? I love Lucy! 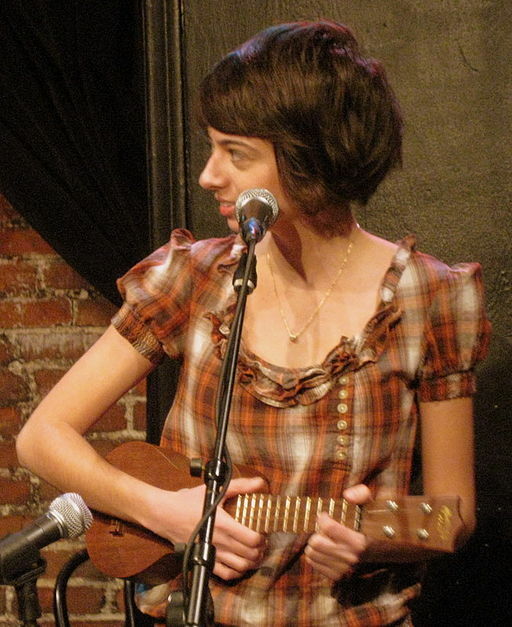 Well, it was Kate Micucci, the woman who played Lucy, Raj’s love interest from Season 6, but I was so excited! It seems Joanna had been a big Internet rage in 2013, because her original Prancercise video on YouTube had garnered millions of views. She went on to appear on the Today Show, in John Mayer’s “Paper Doll” video, and was named MSNBC’s Surprise Star of the Year for 2013. Richard Simmons was also a fan, and shed a few tears describing her journey to make Prancercise a viable form of exercise. Joanna told me about her problem. A young journalist had signed up for one of her classes, never said she was a journalist, and then wrote a blog article for a major newspaper making fun of Joanna and the class, and called it a ripoff. Joanna was worried people would see the piece and refuse to take her class. Nobody is liked by everybody, and while this may not be a favorable article, if people really liked her, then they would take her class anyway. And it sounded like millions of people already liked her, so I was sure they would be on her side. She could always get more positive attention and press for her work, and eventually bury that negative article under an avalanche of good stuff. I could certainly help her with it, but it was going to take a lot of effort and would be pretty costly, and would probably require a PR professional as well. She was famous, but she was not making “I have my own PR person” money. Most importantly, she was actually creating her own problem! The thing people don’t realize is that the Google search engine wants you to have an excellent experience so you’ll continue to use it. That means it will show you the results it thinks you want to see, including articles you’ve already read several times, because Google thinks you want to see it again. That article may actually be 347th in actual rank, but because you’re clicking on it, it appears first to you. She didn’t quite believe me, so I walked her through doing a private/incognito search on her web browser. The article disappeared from the first few pages. “How did you do that? !” she asked. I told her I could help her further if she needed it, but that it probably wasn’t a wise use of her money, especially in light of the “disappearance” of this negative article. She thanked me, and said she was going to be in the Irvington Halloween parade that year, if we would like to get together sometime that week. Sadly, I was never able to make that happen, so I never got to meet the woman who invented Prancercise. But I helped “hide” a negative article from Google, and made her a little happier. Sean Sullivan is a digital marketer in Indianapolis, specializing in content marketing and analytics. He’s also a good friend. 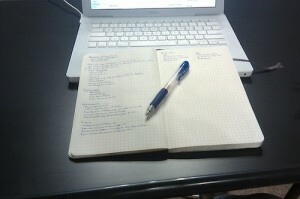 Sean is publishing guest posts in several places, and I’m going to start contributing to his site. This is his latest submission. Writing should be storytelling. The Internet should throw papers on your door step every morning. Writers should expect their paper articles read. 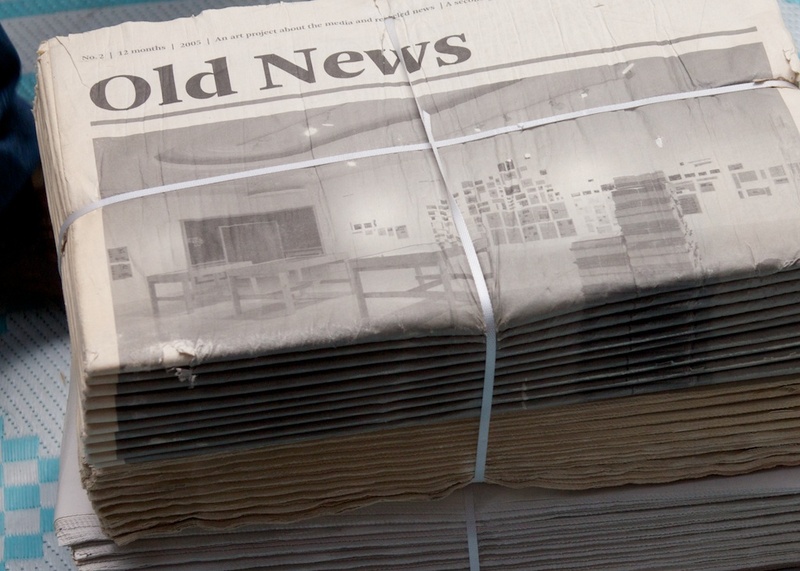 Since the Internet, content overload diminishes what the public can see. Readers want information now. And businesses scramble to publish where readers are. Marketing is not an instant solution. Marketing takes a lot of trial and error. Companies need a balanced media approach. This would include owned, paid, shared, and earned media strategies. Since you can’t control earned media, and paid media gets expensive, let’s focus on owned media. For the last 15+ years, Google still makes the rules. And you have to follow those rules. Google created the sandbox. And we all have to play nicely. Or we get put in time out. Here are a few ways to play. View Google Traffic as a Bonus, Not the End Goal. SEO has taken such a beating, and it’s such hard, ongoing work, that it’s not an effective long-term strategy any more. Don’t play old SEO tricks either, because Google will drop the ban hammer on your site. Instead, figure out how to build on online business by connecting with people. Look at Google traffic from inbound marketing as a bonus. You can build your business on SEO, but it can be hard if you don’t have the time to dedicate to always changing and adapting to Google’s new algorithms. SEO Depends on Content. SSEO is a competition between people finding the best tactics and using them better than anyone else. Content has the potential to go viral and be shared by people who like it, but monkeying with SEO might prevent it from going viral, because Google can penalize your efforts. SEO can help, but your best content — your “hero” content — takes a whole lot more work to create than the actual SEO. It’s your hero content that people want to share and talk about, and that will always be more powerful than traditional SEO. For Converge Street, I get much better organic traffic when writing about a name or a concept, but that doesn’t help SEO. Writing more quality content and sharing that with my networks is what wins traffic. Editorial Writing and Tracking. Write in a news/editorial style while linking credible outbound links — link to help with editorial content, not because SEO says you need X number of links. Track results to expand your focus — check page views and time on site. Figure out who likes your writing (i.e. who reads and shares the most) — count social shares, social networks, and even regular sharers. This way you know what people and search engines like. Then, give them more of what they want. Having good content and using SEO does’t mean readers will flock to your website. Those are just two legs of the three-legged stool. Understanding the different media channels will definitely help. Know where your audience is, write the things they want, and share it on the places where they’re found. SEO impacts inbound marketing but it’s not main the reason people come to your website. SEO, analytics, and social media lands your paper on people’s doorstep. But good content compels them to pick it up and read. You can’t trust your Google search results. They’re biased, and they don’t reflect the true reality of what everyone else sees. You can’t trust Google’s results, because it’s trying to be so helpful and useful to you. Let’s say you need to find someone to build a deck for your house. You go to Google, and do a search for “deck builder.” The results that pop up will be all kinds of deck builders within a 10 – 20 mile radius of where you happen to be sitting at that moment. That’s because Google can tell where you are. And if you’re logged in to your Gmail or YouTube account at the same time, Google even knows who you’re connected to. That means the results you see are based on your location and who Google thinks you’ll want to talk to. It will even show you a little map of all the deck builders in relation to where you’re sitting. This is a useful little feature that Google has, because they figure you want to see the deck builders who are closest to you, and not the ones who have the best optimized website but are 1,000 miles away. Want to See the Real Results? But what if you want to get a more accurate picture about what Google “really” ranks as #1? Maybe you’re doing a national search for some company or manufacturer, and you’re not as concerned about whether they’re 10 miles away. For this, you would do an anonymous search, where Google doesn’t know it’s you. On your web browser, open an Incognito or Private browsing session (look in the File menu). That turns off all cookies and identifiers so Google and every other website doesn’t know who you are and won’t track you. Now do the same search. You should see some different results. In fact, depending on your search terms and your location, you’ll see some wildly different results. That’s because Google doesn’t know a thing about you. They’re showing results that anyone who’s not signed in to Google would see. They’re as close to objective, unbiased results as you’re going to get. But even then, Google is trying to figure out where you are, so it can try to give you the results you would most likely want. Do that deck builder search in an Incognito search, and chances are, you’ll still see the local results, but the rankings will be different. Some pages will drop and other pages will appear, but they may still be locally-focused. Again, that’s because Google wants to be as helpful as possible. They want to show you the results closest to you, and the results all your Google+ friends have shared or created themselves. This creates a serious problem for businesses who do this to check their Google search rank. The first thing an eager marketer will do is search for their best keywords to see where their own website ranks. And, because Google is so helpful and kind, it figures, “A-ha, Shelly wants to see her website. Let’s show it to her!” and places her little website at the top of the search results page, where it outranks giant mega-companies who have been doing this for years. “WE WON GOOGLE!” Shelly hollers at the top of her lungs, running around the office, high-fiving everyone. Then, because she’s eager to show her husband how awesome she and her web team have been, she makes the 30 mile commute home, pops open his laptop, and does the same search only to find that in a few short hours, her company website has dropped from 1st to 87th. It only gets worse when she goes back to work, checks again, and sees she’s winning Google once more. This is a problem for anyone who relies on Google search results to see how their search engine optimization and website design are performing. They get lulled into a false sense of security by Google’s personalized results, and slack off their SEO. And without realizing it, they slip lower and lower in the real, objective results, disappearing from everyone’s view except for their own. If you want to get a real idea of how well you’re doing, you need a Google rank checker like WebCEO, which will check the actual rankings and tell you where you reallyrank for your chosen keywords. This is true whether you’re doing the searches for your company, or even your own name (very handy for a job search, because it tells you what the recruiters and hiring managers will see). In its efforts to be as helpful as possible, Google has inadvertently tricked us and lulled us into a false sense of success, which creates problems for us that we’re not even aware of. But rather than rest on your laurels, you need to keep track of how things are really going for you. Use a rank checking website like WebCEO, and run a report at least once a month. Then, focus on new SEO techniques — a regular blog, social media promotion, submitting blog posts to Google+ — that can help move you up in the actual rankings. 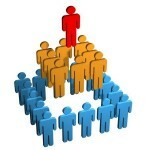 Ultimately, you may end up getting your personalized search and actual search rankings to match up. After yesterday’s post, Five Pieces of Blogging Advice I Wish You’d Stop Giving, Rogier Noort challenged me to come up with five “true gems” of blogging advice. Oooh, now that’s a challenge. The problem is, there’s so much blogging advice out there (the first of which is always “write good content,” which inspired yesterday’s post to begin with), I was hard pressed to come up with five good ones that most people don’t know. But I accepted the challenge, so here we go. I’ve written a lot about Google AuthorRank, and its growing importance. If you want to improve your search ranking, tie your blog’s bio to your Google+ account, and add your blog to the Contributes To of your profile. Next, go to Google+ and upload a recent photo of you. Not you as a child. Not your child. Not your dog. Not you and your best friend. Not a picture of you at the beach, sunset at your back, from 100 yards away. Then, whenever a blog post you wrote appears on a Google search, your face and name will appear next to your result, and people are more likely to trust it (i.e. click on it and read it). The whole point of search engine optimization was to help Google understand what websites were about. If you wrote about Hungarian football, you would use that phrase in your title, a few times in your blog post, in your keyword tags, the meta description. And if you write about it frequently, you may even want a category with that phrase. If you did this right, Google would assume that your site was an important one for Hungarian football. This made people do it more, because they saw it helped their pages show up higher on Google’s search results pages. But that doesn’t mean you should stop doing SEO. It’s still valuable, it just doesn’t add to your SEO juice. Just quit thinking that you need to do it perfectly and efficiently to beat the competition. Just remember, in order to find you, Google needs to understand what it is you do. If they understand what you do, AND you do all the other stuff right (i.e. have good time on site, low bounce rate, and high click-through rate), then Google will place you higher. But crappy content with great keyword placement will not rank higher. Remember, you’re writing for two audiences: the reader and Google. The human reader is more important, but Google can make or break you. This is the new SEO. If you want to have a serious impact on your SEO, use schema tags like Address, City, Region (state), and postalCode (ZIP code). The reason is because Google (and Bing and Yahoo; Schemas is a joint venture among the three) is starting to recognize what lines of text mean. The same is true for addresses, especially when it comes to local searches on Google. Right now, if you do a search for our address — 5348 Tacoma Ave., Indianapolis, IN 46220 — all Google sees is a string of letters and numbers, and they’ll look for the identical string on all websites and blogs. then Google recognizes that as a real address, and they’ll pop it to the top of the search results, and show it on their Map. If you still want to do SEO, then start using schemas. It’s a laborious process though, because most everything has to be done by hand. There are some plugins for it, but they’re not as effective as the actual hand coding. At the bottom of this post are some schema tags that were created by the SchemaFeed plugin, which unfortunately is no longer available. That is, don’t explore everything you know about a single blog topic in one post. Break it up into little bitty, bite-sized chunks, and explore each tiny facet of the issue in an individual post. For example, one of my keynote talks, Ten Secrets I Learned In 24 Years of Writing would make a great blog post. And to keep from boring the reader with a massive crush of words, I could write 2 – 4 sentences about each point. But that wouldn’t give me time to fully explain what each secret means, how you can apply it, or why it’s even important. What would make it better is to break it up and explore each secret further, and more in-depth, spending 400 – 500 words on a single secret — 600 words maximum, and that’s pushing it — finally resulting in ten separate blog posts. This blog post would have also benefited from a similar treatment. But I was challenged to write five true gems, and I’m über competitive. So, you can write that overarching post, like this one, as sort of a preview, but then break it up into separate posts, one for each point, to expand on it, broaden your topic base, and make you look like an expert. One of the indicators Google uses to determine whether a blog post or web page is any good is to look at how long people will spend on the page. That’s also known as Time On Site. We already know — because it’s one of those pieces of remedial blogging advice we hear over and over — that photos and videos will increase the click-through rate on a blog post (which is another signal for the new SEO). But did you ever consider that the proper use of video will increase your time on site? If you embed a decent video that supports your point — create one yourself, if you can’t find one — people will watch it on your site, not YouTube/Vimeo. And the longer they watch the video, the longer they spend on your site. The longer they spend, the more Google values that page. You can accomplish the same thing by having a few photos on your site, to give people something to look at for a few more seconds. The longer they spend, the more your Time On Site goes up. That doesn’t mean you can just load junk videos and crappy photos in the hopes that you’re going to trick people into spending time on your page. Once they realize you have nothing to offer, they’ll never come back, and your misguided attempts at trickery will backfire badly. Those are my five true gems of blogging advice. Thanks to Rogier Noort for challenging me to write them. Does anyone have any of their own blogging gems? Leave them in the comments. Google AuthorRank is going to become a deciding factor in search engine optimization, as well as personal branding. As we’ve discussed recently, Google seems to be setting itself up to use AuthorRank as a ranking factor, although no one is sure when that will happen. (A couple people I’ve talked to think they already have). How do you set up for AuthorRank? Do you have to do anything special? Or is it all done for you? First, you don’t actually need to do anything for AuthorRank. That’s the name of the signal Google is using, like PageRank. It’s their assessment for your page, or your name. And they’ll most likely keep the actual ranking number a secret. While you can’t set up your AuthorRank, what you can do is start using the rel=”author” tag in your blog posts so when they launch the algorithm, you’ll be ready. Go to plus.google.com, and log in with your Gmail account. If you’re not using Gmail, you should be. This means filling out everything — past workplaces, education. Everything. Anything that Google could find and associate you with elsewhere. Your photo needs to be a real photo, not you with a friend, your dog, your kid, or even you as a kid. Remember, this is the photo that will be shown when your name appears in a Google search. So a backlit photo of you standing on the beach at sunset from 200 yards away is not a good idea. Add your other social network profiles too. Keep in mind that these are public, and anyone who’s looking at them can find you through your Google+ profile. So if you have a secret personal account you don’t want anyone to know about, don’t include it. Otherwise, include as much as you can. The “Contributor To” box: List every place you provide content for, even if you only do it once in a while. This is where you tell Google where your work can be found. Your blog(s), your website, anywhere your written content appears. Even if you wrote a guest post for a blog a year or two ago, include it. 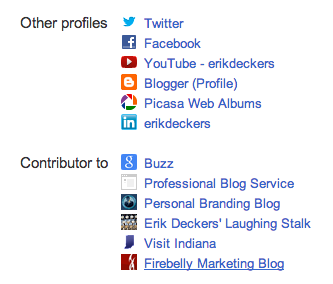 This will help Google+ verify that you really are the author of the pieces you listed on the actual blog. For example, this particular blog post is published on the problogservice.com blog. In order to get Google to recognize that I’m the author, I had to include my problogservice.com email address. First, copy the URL of your Google+ profile. It may include the word “posts” or “about” at the end. I recommend leaving the word “about,” because that takes people directly to your Google+ profile. The “posts” at the end takes them to your timeline. You can go to Bitly.com to shorten your Google+ URL. That way, you can track whether it got clicked on. And you can even customize it so you know it, and can type it from memory (mine is bit.ly/erik-plus, because I’m a bit of an egotist). Google will then go check, see that you listed this particular blog in your “Contributor To” section, and say “VOILA! We have an Author!” And the circle will be complete. Then when that particular post shows up in a Google search, it will have your name and smiling face right next to it, so everyone knows it’s yours. This is my bio from this very blog. Note the rel=”author” tag. We had to use the AuthorSure plugin to get that to stick. One thing I don’t like about the self-hosted WordPress platform is that it strips out the rel=”author” tags from the user bios. It doesn’t matter how many times you try, they remove it every time. So download the AuthorSure plugin to your WordPress blog. This will keep the rel=”author”, rel=”me”, and rel=publisher tags intact, and working properly. 7. What Do Those Other rel Tags Mean? You should use rel=”me” when your name appears in a blog post or article, but you’re not the author. This is especially useful for speaker bios on someone else’s page. When you submit a bio to be published elsewhere, hyperlink your name to your Google+ profile, and use the rel=”me” tag, so Google recognizes that it’s you, but doesn’t think you wrote that particular page. The rel=”publisher”, according to Google’s Webmaster Help, “. . . tells Google that the Google+ page represents the publisher of the site, and makes your site eligible for Google Direct Connect.” In other words, it’s useful for companies and brands that are publishing their website. Link the company name to its Google+ page. 1) It tells Google who you are, so if you’ve written something that shows up in a search, your name and picture will be highlighted, and will appear next to the entry. That’s great for personal branding. 2) When people do a search, Google assumes your Google+ friends will want to read your stuff. That means, the bigger your Google+ network, the more people Google can/will show your content to.